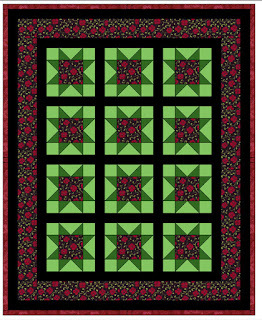 I'm going to quilt it using the "simply stippling" groovy board (below). 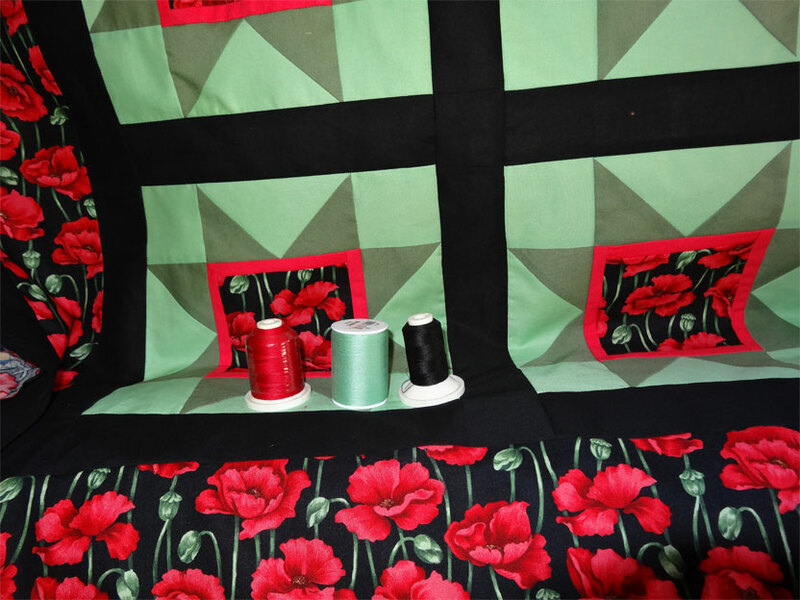 Of the options I have at the moment, I think this stitch design is the best choice - but what colour thread to use? I've got red, soft green, and black. 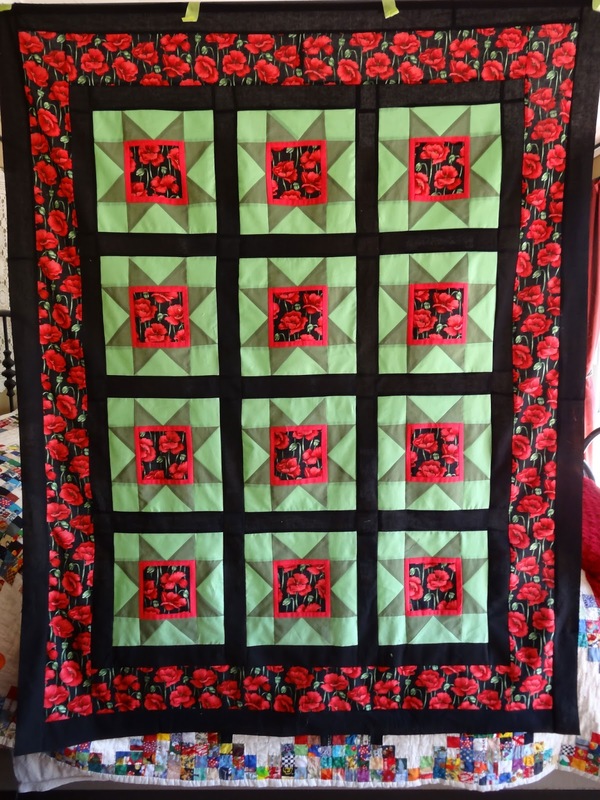 I sent the photo below to Anna (who the quilt belongs to) and we discussed it. We agreed to use the green. 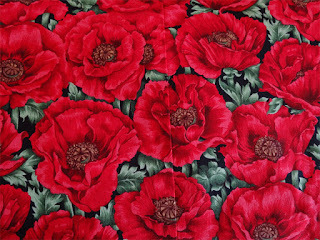 That one will have the least "distraction factor" on the star points, and should fade in fairly well on the poppy print. Of course it will be very obvious in the black strips, but that's OK.
First, I folded along the edge of one of the 2 panels I'm joining for the backing, ironing a very sharp crease int the fabric. 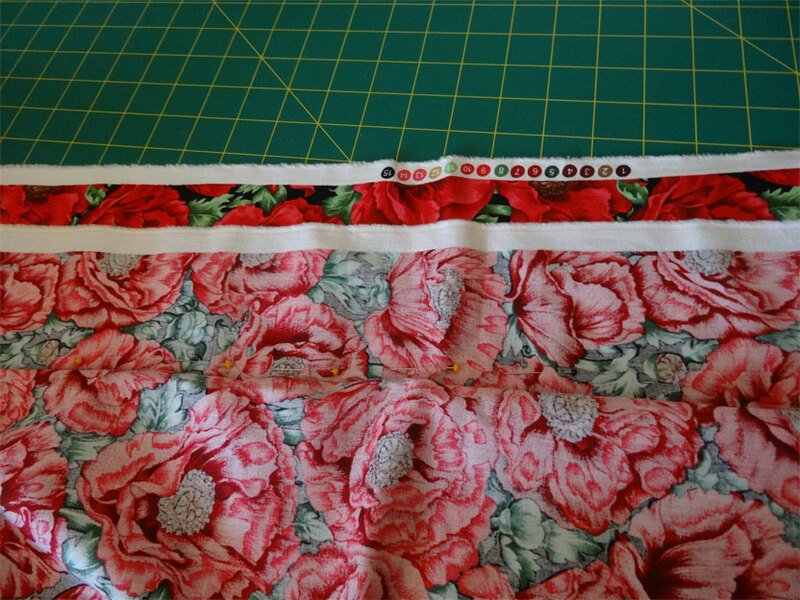 Then (as you see below), I matched up the prints and pinned on the right side to keep the alignment in place. 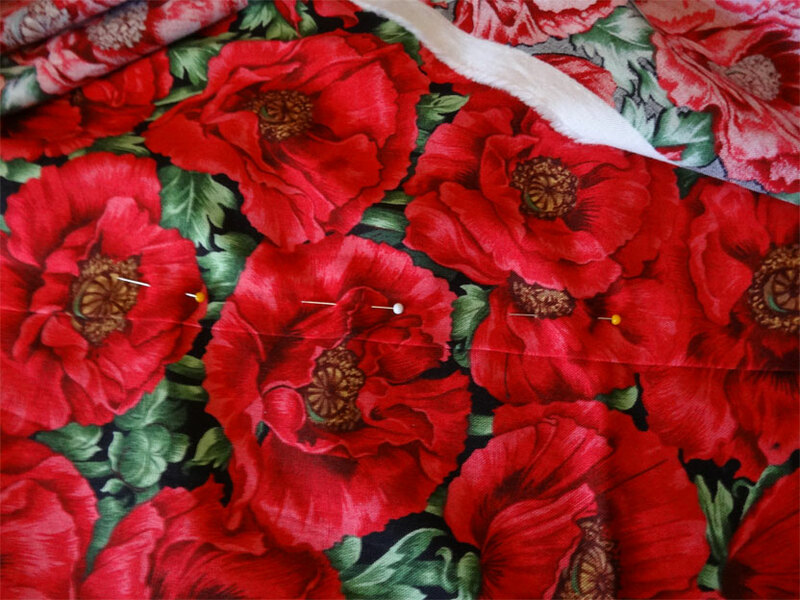 Then I folded over and pinned the right sides together, staying close to the line of pins on the ohter side. 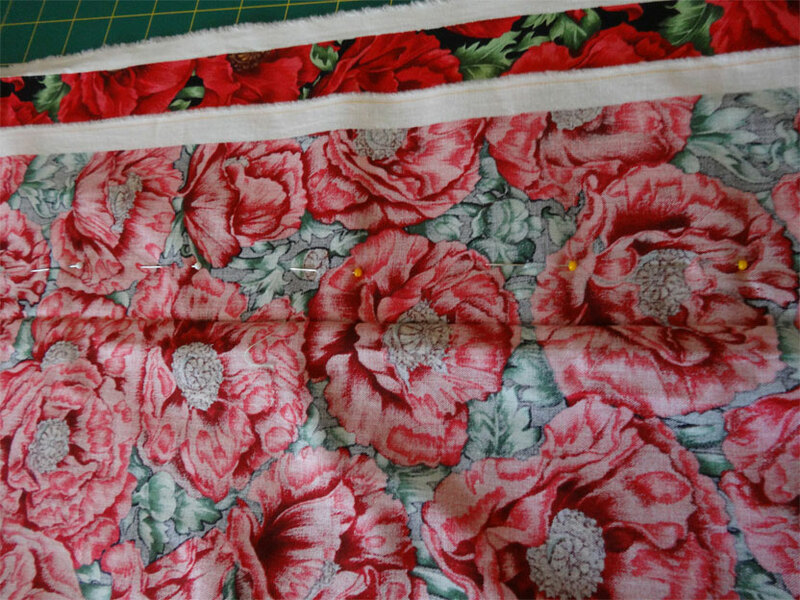 Then I removed the first row of pins - which now (on the back side of the fabric) reveals that sharp crease I ironed into the fabric. 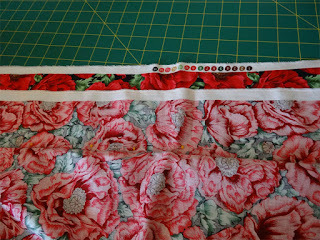 All I had to do then was stitch along that crease (actually, I basted first as I was a bit worried it wouldn't line up right and I might have to unpick it). And... VOILA! Below you can see the center of the backing panel - and how well the stitching line has aligned the poppies. 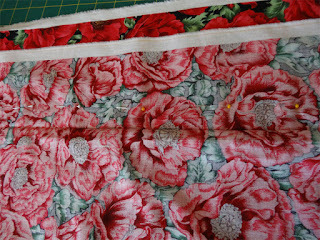 It wasn't terribly difficult to do this, and it makes a much more uniform backing. 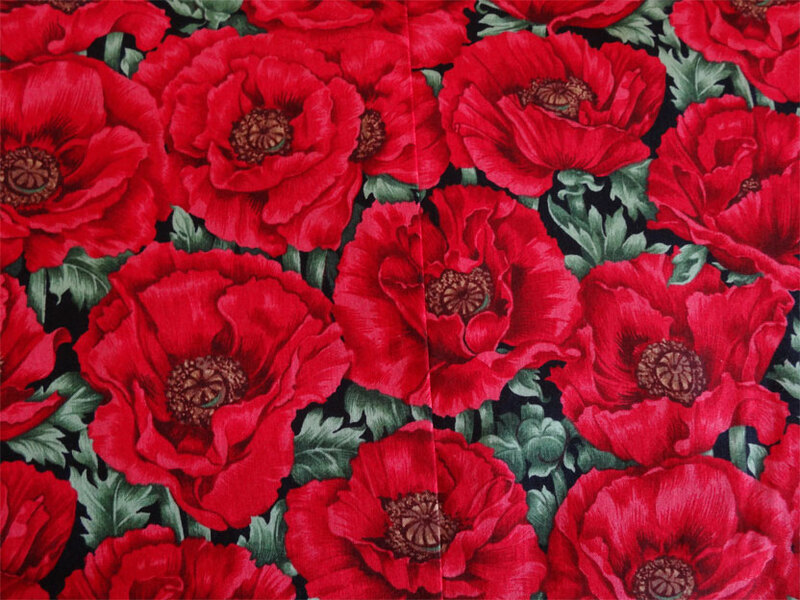 I did get lucky in that the pattern in this print is repeated fairly regularly, and I didn't need to get extra fabric to accomplish lining up the poppies. 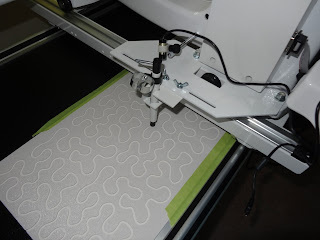 The next time I buy backing fabric, though, I'm going to make sure I buy enough to cover aligning the repeating prints (so if the pattern repeats every 30 cm or so, I'll buy 30cm extra to be sure I can match up the pattern). 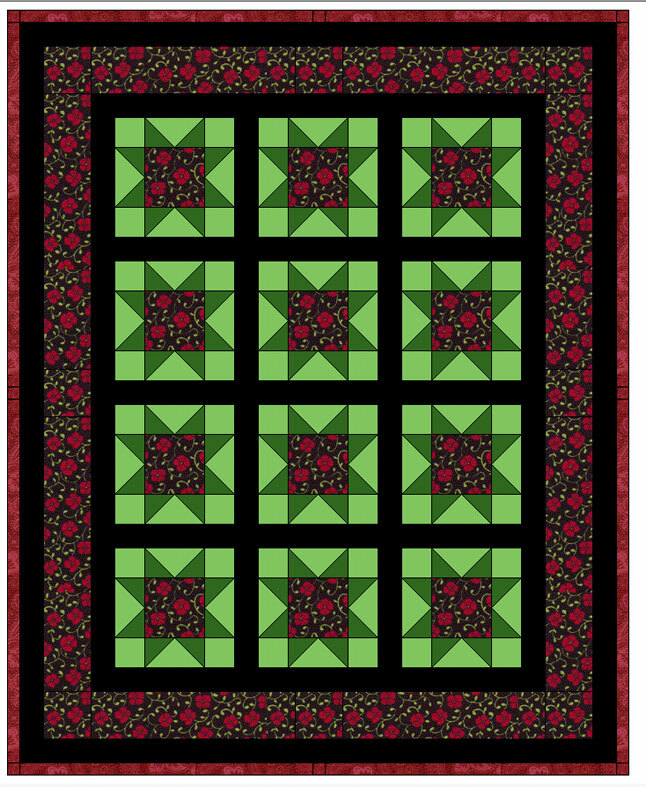 Now to mount the quilt on the longarm and get this project finished! 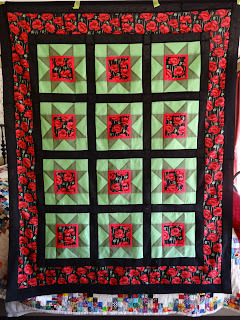 "So God Made A Quilter"
Quilt 52: Sawtooth Star Poppies - DONE!